Festival SZN: Every Music Fest You NEED to Hit in 2017! Festival season is my favorite time of year. There’s just something about hopping from stage to stage with your friends, drinking, and screaming the lyrics of your favorite song right in front of your favorite artist that I love. This year, festivals have been dropping its lineups earlier than usual, making it harder to plan out your summer! But, no worries! If you need help deciding which festivals are worth the trip (and your money), I’ve got you covered below. If you’re filled with wanderlust or just want to take a random road trip with the homies, these are the best festivals to spend your coins! If you got it, flaunt it, right? Coachella is one of the more pricey music festivals, but with it’s beautiful location and perks— it’s worth it. 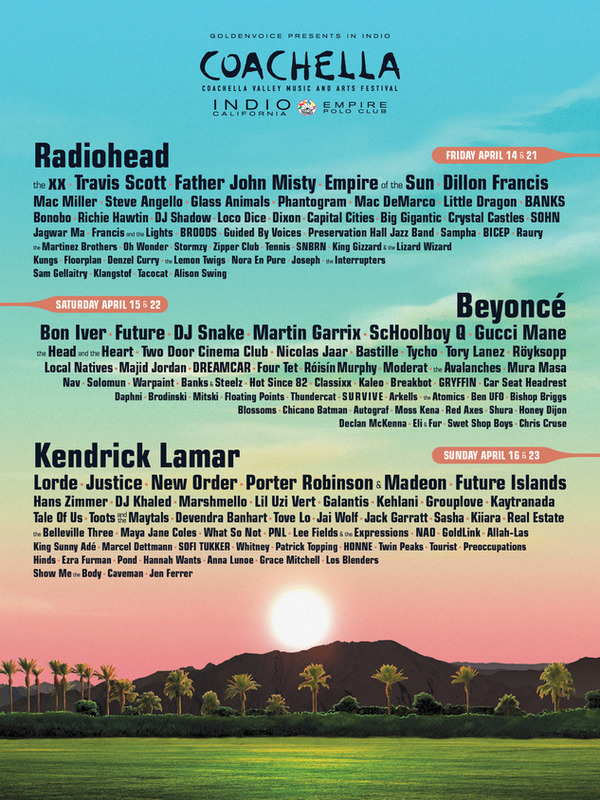 Located in Indio, California, this year’s festival lineup features Kendrick Lamar, Radiohead, and experience as headliners as wells as NAO— who is a MUST SEE live, Goldlink, Kaytranada, Lil Uzi Vert and many more. Tickets for the two weekend festival sold out quickly. But if you’re about that resale life, Stub Hub has tickets for sale starting at $503 here. With activities such as yoga and swimming available on festival grounds, think of Okeechobee Festival as a summer camp in March. Kings of Leon, Usher & The Roots, Solange, Rae Sremmurd, D.R.A.M. and many more will be performing at the three day festival in Florida. 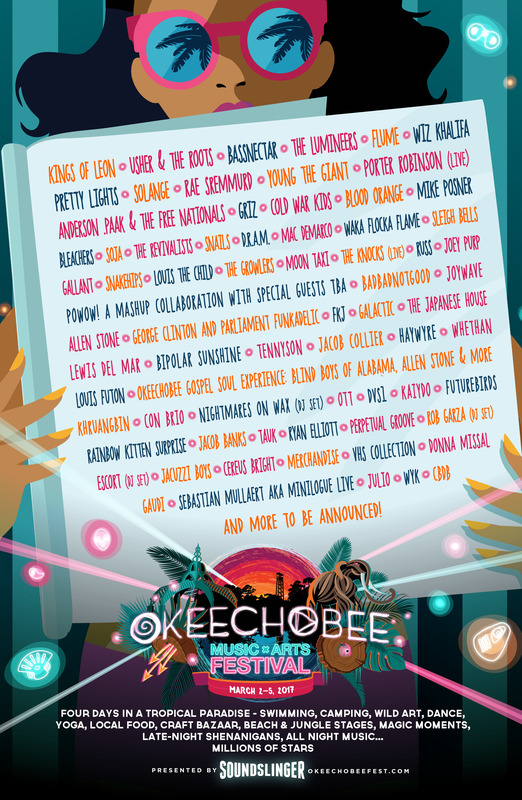 Tickets for Okeechobee Festival are on sale now and range from $259 for a general admission 4 day pass to $600 for V.I.P. passes. Check it out here. Let’s be honest, who doesn’t want to go to New Orleans? From the great food and amazing art to the culture, you’ll definitely want to be in town for Buku Music+Art Project. Travis Scott, Young Thug, 21 Savage, Alina Baraz and many more will be performing at the two day festival. The NOLA festival also offers travel packages which include hotel accommodations and tickets for fans that are available here. 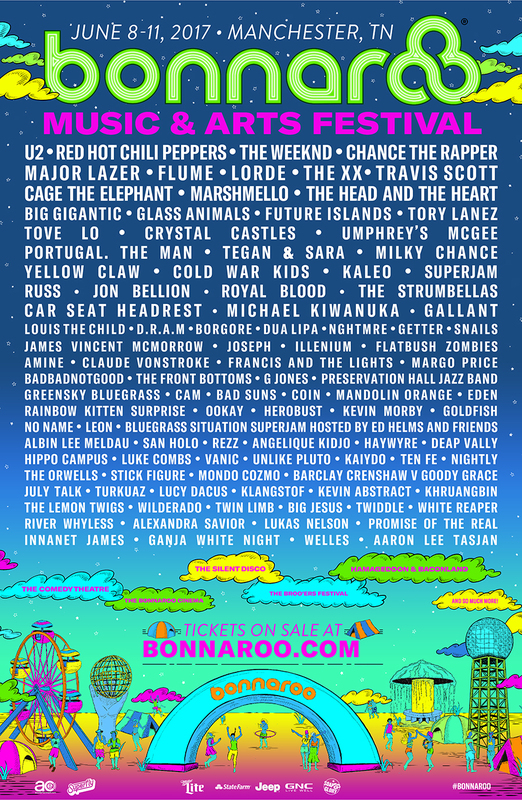 Taking place in the heart of Tennessee, U2, Chance the Rapper, The Weekend, and the Red Hot Chili Peppers will be headlining Bonnaroo 2017. Though this year’s lineup seems very similar to other festivals, Bonnaroo will have a silent disco, a kid’s jam (if you’re looking for something family friendly), a comedy theatre and Baconland on festival grounds. Tickets for the four-day festival will run you $324.50 and are available here. Frank Ocean and Chance the Rapper are running the festival lineups. 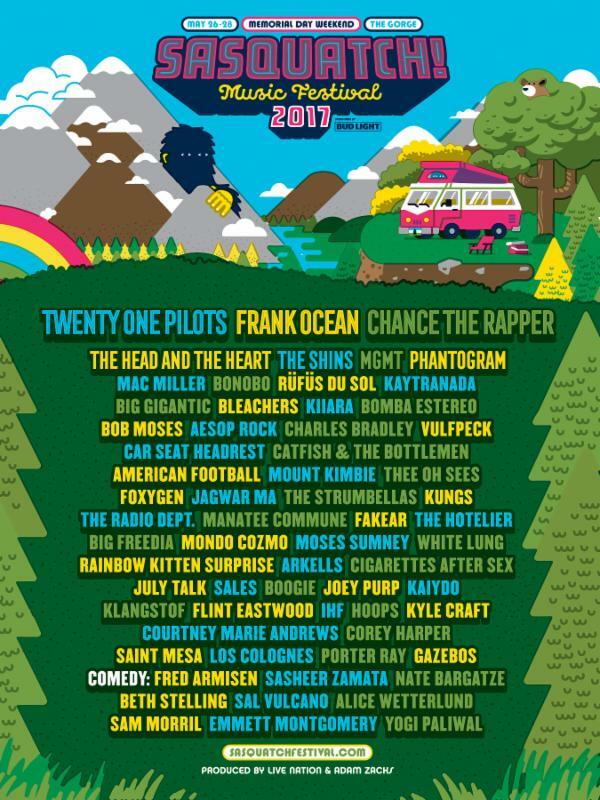 Taking place at the Gorge Amphitheater over Memorial Day Weekend is Sasquatch Music Festival. Tickets go on sale Saturday, January 28th at 10 a.m. PST. This year Soundset is celebrating its 10 year anniversary in a huge way! 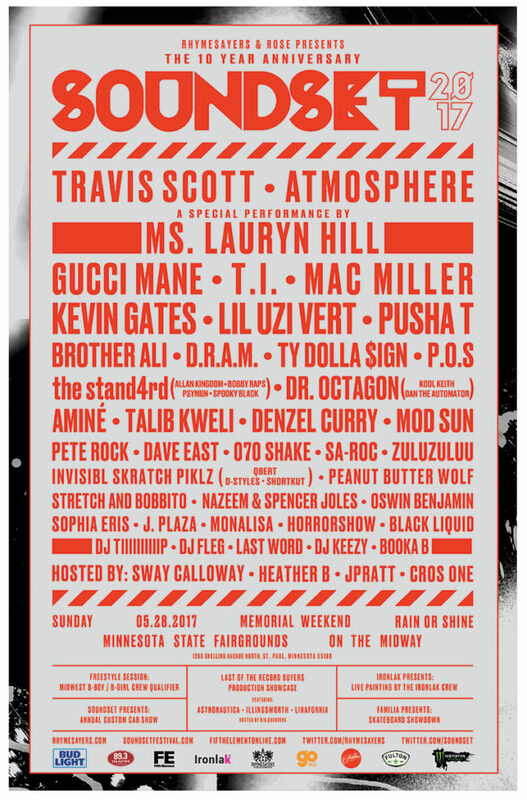 Travis Scott, Gucci Mane, Mac Miller, Lauryn Hill, and many more will be performing at the Minnesota music festival. Tickets are currently on sale here. If you’re a rapper, singer, photographer, blogger or even a “creator of vibes,” SXSW is your networking mecca. Not only can you perform and attend most events for free— Twitter and RSVPster are your friends during SXSW, but you can also meet and collaborate with a ton of people in the music and film industry. The official SXSW festival features interactive conferences, a gaming expo, a comedy festival and much more. You can register for an official SXSW badge here. 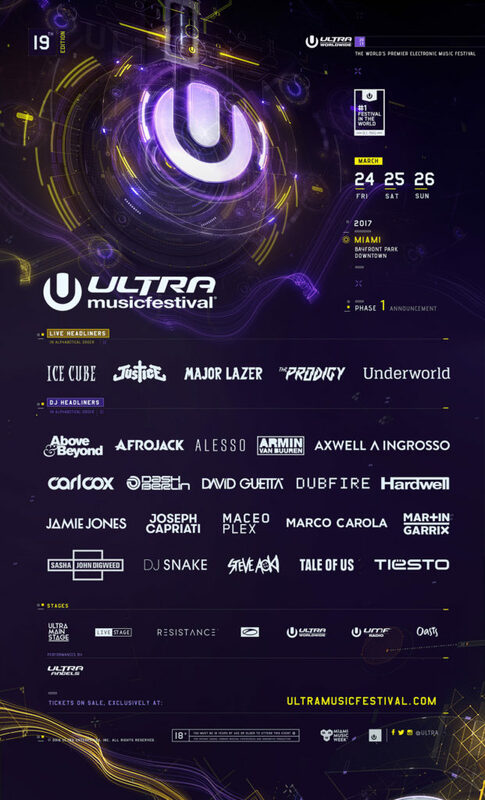 If you’re into David Guetta and Ice Cube, then Ultra Music Festival is just for you. 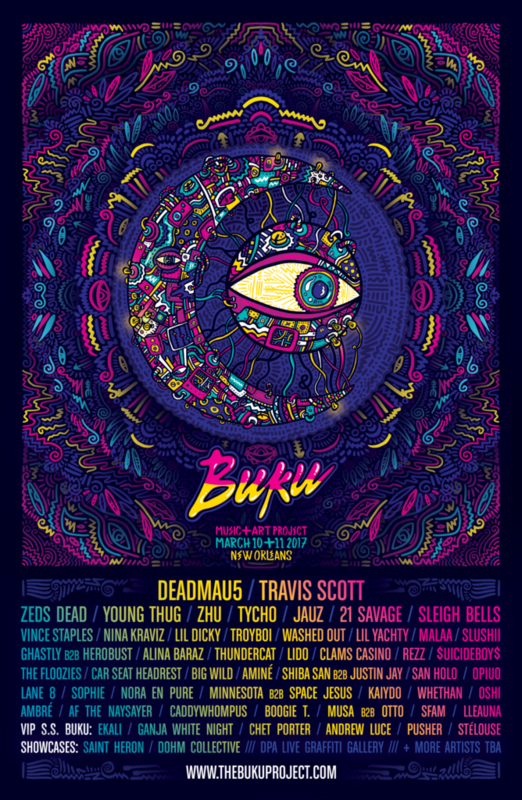 Taking place over three days in Miami, Ulta Music Fest will feature some of the best DJs in the EDM and club scene such as Steve Aoki, DJ Snake, Major Lazer, and many more. Tickets for UMF are available for purchase here. If you’re planning a mini baecation, look no further. Spread out over two weekends, the New Orleans Jazz & Heritage Festival is perfect for those looking for a more laid back experience. Though the lineup for 2017 isn’t out just yet, last year the Red Hot Chili Peppers, Stevie Wonder, J. Cole and more hit the stage. 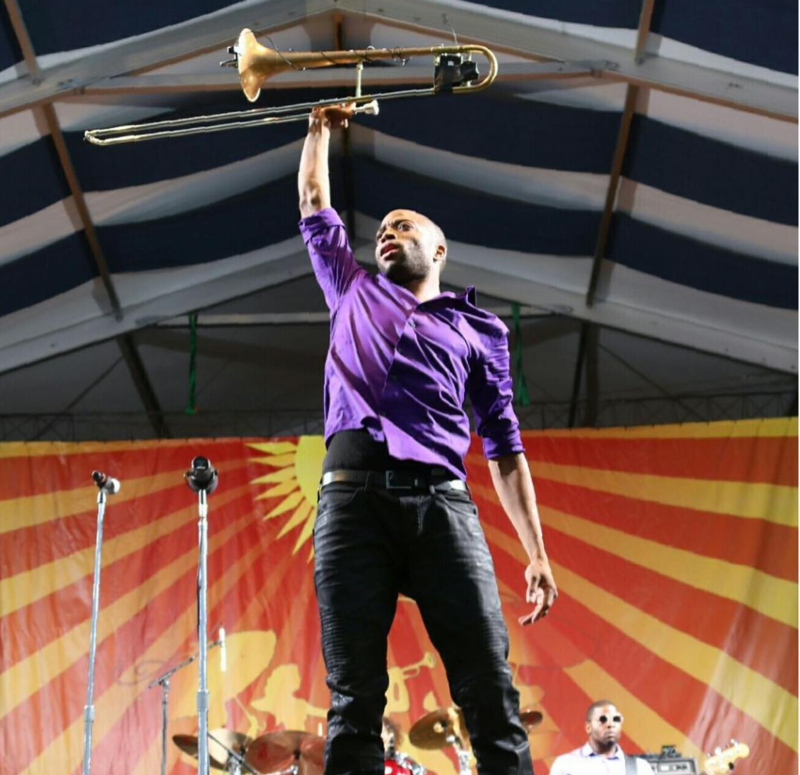 The New Orleans Jazz & Heritage Festival will take place on April 28th – April 30th and May 4th – May 7th. For more information on when the 2017 lineup drops, check it out here. Also taking place in NOLA is the Essence Music Festival. 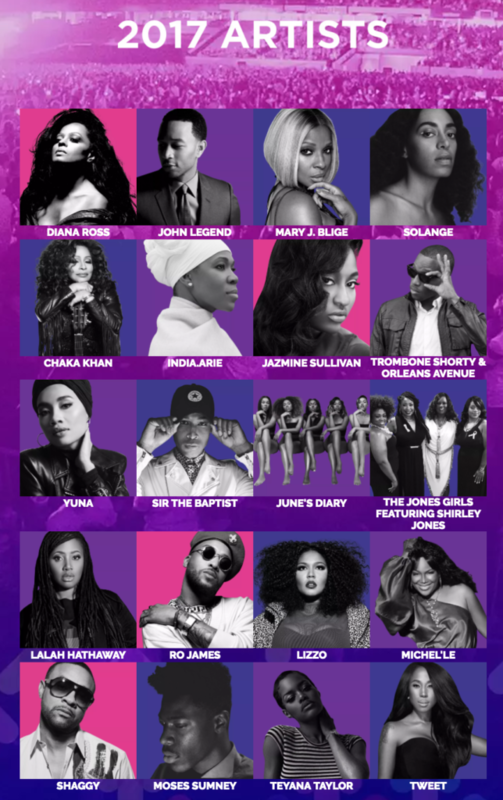 Greats like Diana Ross, Chaka Khan, Mary J. Blige, and Solange will be hitting the stage. Tickets for the three-day festival range from $189 to $2,700 and are currently available on Ticketmaster. If your pockets are preventing you from taking a trip across the country, this is for you! Located right on Randall’s Island, Gov Ball is a classic festival on the east coast. Chance the Rapper, Childish Gambino, Wu-Tang Clan, Skepta and many more will be performing! Outside of the great performances, Gov Ball has some of the best food truck options I’ve seen at a festival so far. Tickets for the three day festival are $305 for general admission and $650 for V.I.P. 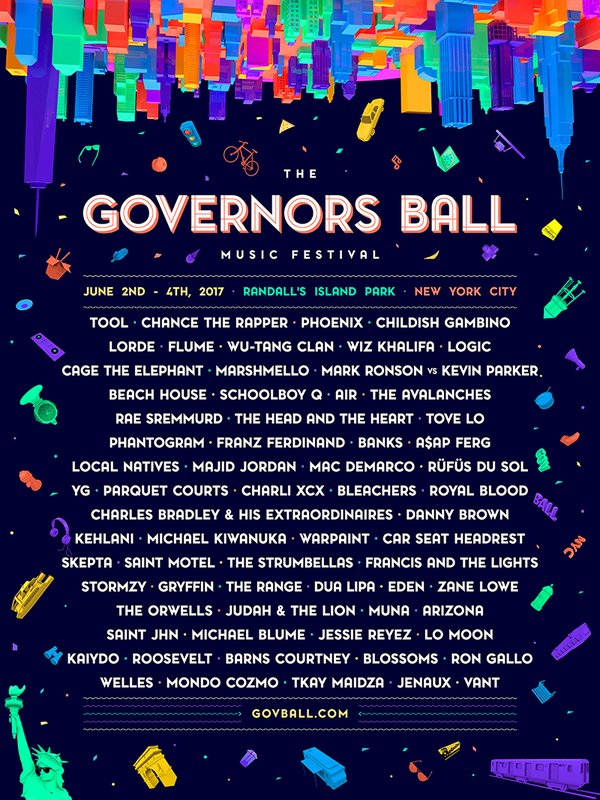 Gov Ball also offers single day ticket which are available closer to the festival date. Frank Ocean, A Tribe Called Quest, and Solange? Yeah, Panorama Festival can take my money. Also taking place on Randall’s Island, Panorama’s single day tickets are only $125 after taxes while the three-day general admission will cost you $345. Now if you’re a hip-hop fan like me, you may notice that their aren’t many hip-hop acts on this lineup. But, the best part of festivals is introducing yourself to new genres. Panorama would be a good time to checkout Tame Impala ( listen to “Feels Like We Only Go Backwards” and thank me later), Mura Masa, Girl Talk and more. Tickets for Panorama Festival are available here. Located in the heart of D.C., Broccoli City has a damn good lineup. Solange and Rae Sremmurd are set to headline the festival while 21 Savage, Lil Yachty, Alunageorge, Rapsody, Smino and more will also hit the stage. Broccoli City presale tickets are currently available for purchase here. 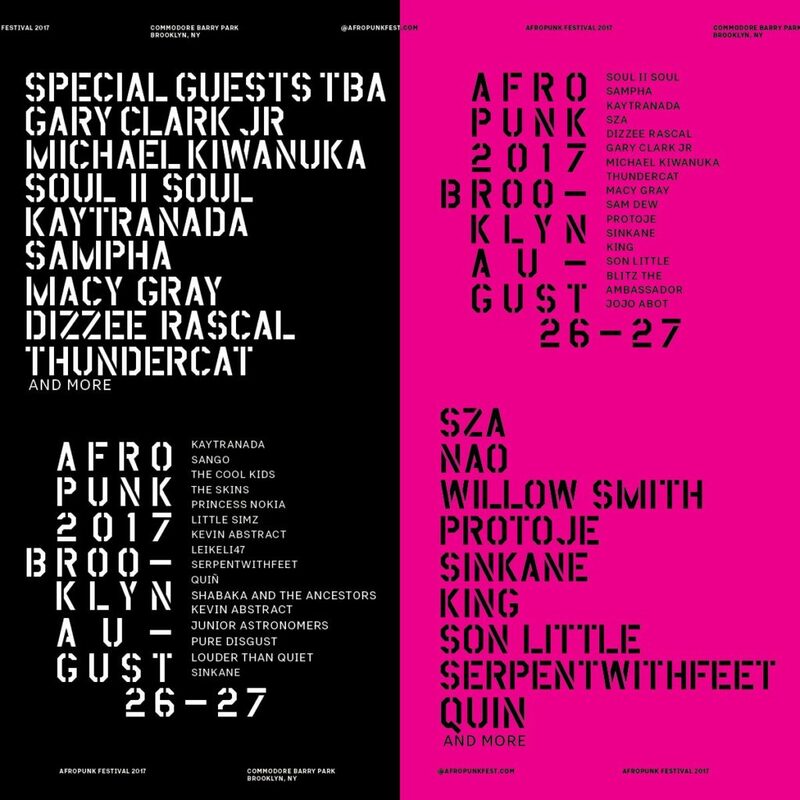 Afropunk has finally dropped the first of its 2017 lineup. The Cool Kids, Sango, Kaytranada, Princess Nokia, SZA, and many more will be performing at the Brooklyn festival! Afropunk will also feature a Saint Heron stage, does this mean Solange will be making an appearance? We’ll just have to wait and see! Afropunk tickets are available now. Which music festival do you plan on hitting this year? Let me know in the comment section!